NARNIA . . . the world of wicked dragons and magic spells, where the very best is brought out of even the worst people, where anything can happen (and most often does) . . . and where the adventure begins. 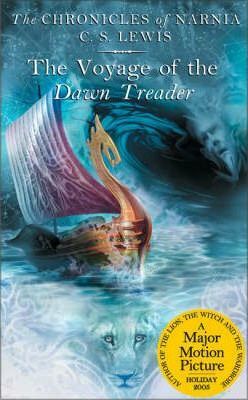 The Dawn Treader is the first ship Narnia has seen in centuries. King Caspian has built it for his voyage to find the seven lords, good men whom his evil uncle Miraz banished when he usurped the throne. The journey takes Edmund, Lucy, and their cousin Eustace to the Eastern Islands, beyond the Silver Sea, toward Aslan's country at the End of the World.